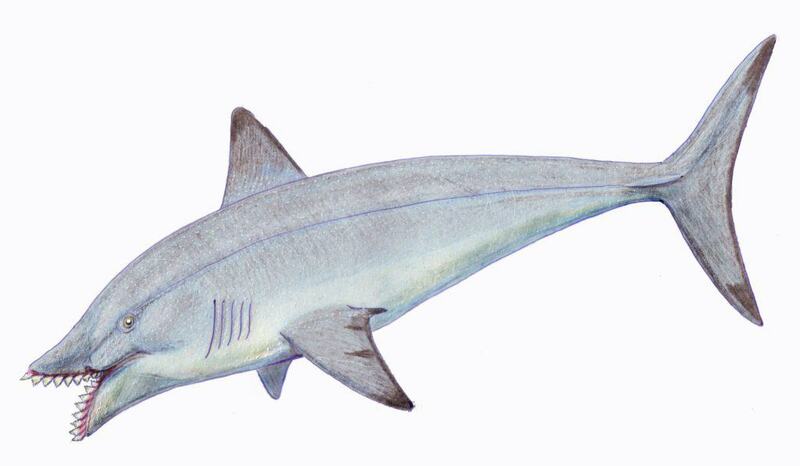 In the Paleozoic Era, Tennessee was covered by a warm, shallow sea, filled with sharks. The waters receded millions of years ago, but sharks still linger in our state, ready to sink their teeth into your wallet. And indeed, they are: they make it as easy as possible to take out a loan. The hard part? Paying it back. Because once you take out a payday loan, it grows and grows. Payday lenders legally charge interest rates of up to 400 percent, trapping borrowers in a debt trap that seemingly has no end. Nationwide, they charge consumers nearly $8 billion – BILLION – in fees each year. In Tennessee, they get away with over $400 million in extra charges, which ranks our state 7th in the nation for fee drain. Lenders in Texas alone overcharge borrowers by $1.6 billion. But I’m the skeptical type. Sharks in Tennessee, I said? It can’t be, in this day and age. So I hopped in my car and headed down Gallatin Road to see for myself. Gallatin Road is the Main Street of East Nashville, which connects Briley Parkway in the north with the central business district. It was first built in 1839, along the route of the old stagecoach trail to Louisville. Nowadays, it’s Nashville’s busiest thoroughfare, a four-lane urban highway that carries 23,000 cars per day. 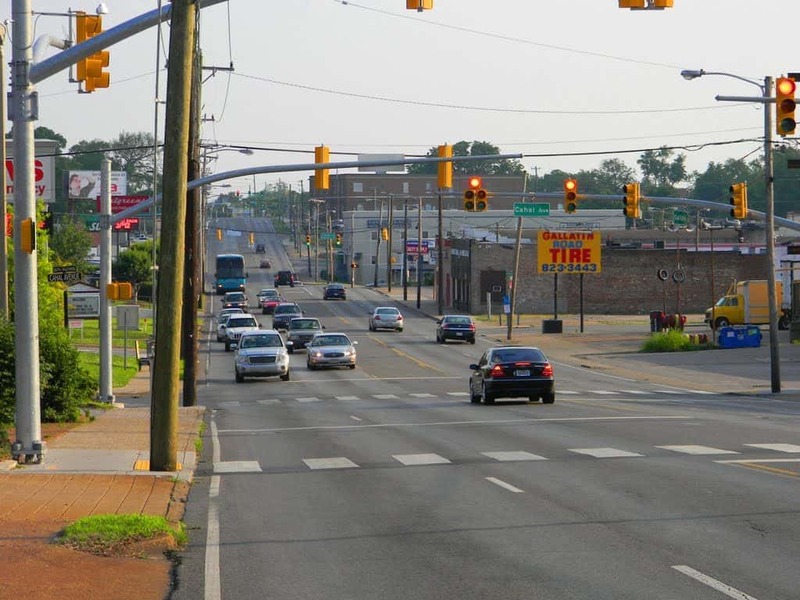 East Nashville is an increasingly trendy place to live, but Gallatin Road is still working Nashvilleans’ main artery into the city. It’s Nashville’s busiest bus route, and is dotted by stores like Family Dollar, Save-A-Lot and Popeye’s. The other thing it has is plenty of payday lenders. How many, exactly? That’s what I set out to discover. I headed south on Gallatin Road from my home in Hendersonville towards Nashville, a stretch of around fifteen miles. 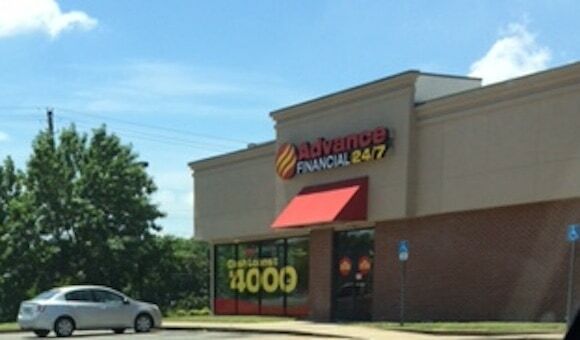 Within a mile I made my first stop, at Advance Financial. As their sign proudly declares, they’re open “24/7,” ready to lend to you at any time. Advance is one of the largest payday lenders in Tennessee, with more than seventy outlets across the state and six in Nashville. This location is conveniently right next to a Starbucks, in case you need a little extra cash for your venti caramel macchiato. The interest rate you’ll pay for that steaming cup of coffee and milk? Over four hundred percent. Just one more mile down the road on our predatory prowl is Tennessee Quick Cash, which like Advance offers “flex loans” of up to $4,000. These loans were invented in 2014 as a way for Tennessee predators to get around the Consumer Financial Protection Bureau’s plans to curb traditional single-payment payday loans. “Flex” loans, which were authorized by the Tennessee Legislature after intense lobbying by lenders, still charge the same outrageous interest rates as traditional payday loans – but allow you to pay in installments, sidestepping the CFPB’s rules. Next up? Security Finance in Madison, Tennessee. I’m less than eight miles from home and I’ve already passed a dozen payday lenders. Before I reach downtown, there’s EZ Money, Ace Cash Advance and it’s kissin’ cousin, Ace Cash Express. By the time I reach Nashville, I’ve counted twenty payday lenders. Twenty, in one fifteen-mile stretch of Gallatin Road. And this is just a fraction of the 1,200 payday lenders scattered across our city and state. These are the predators who legally sap more than $400 million in extra fees from borrowers in Tennessee, and trillions more from hardworking folks across the country every year. 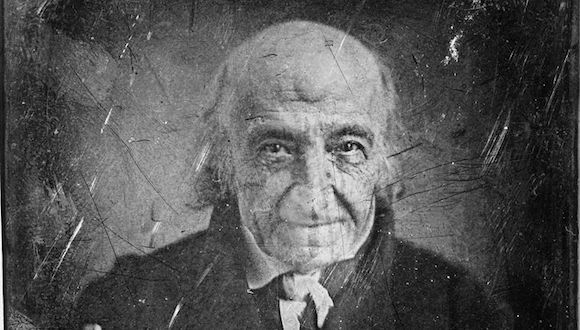 It’s ironic that this road is named for Albert Gallatin, Thomas Jefferson’s Secretary of the Treasury, who stabilized our young republic’s banking system by reducing the national debt. It’s also ironic that Gallatin Road is now a hotbed for Tennessee’s most predatory lenders, who lead the nation in finding creative ways to sidestep the handful of protections for borrowers enacted by the CFPB. To make matters worse, Senator Lindsey Graham of South Carolina has just introduced a bill that would nullify protections for borrowers of payday loans under a rule that was only recently finalized by the CFPB, and has yet to take effect. Graham’s bill would kill this long-awaited rule, which requires payday and car title lenders to make loans only after they have assessed whether the borrower can afford to pay them back. The CFPB rule would put an end to the easy-money mentality we see all along Gallatin Road. But we’re not going to let Graham take away this rule or the CFPB, which we’ve worked so hard to achieve. We have worked for years to win protections for borrowers against legalized scams that cripple our most vulnerable community members. We haven’t come this far just to stand by and watch these protections to be stripped away. We will fight very hard to keep this rule in place. So we’ll continue our road trip to protect Tennessee consumers from predatory loan sharks, as long as it takes, and we call on Senators Corker and Alexander to defend the citizens of our state, and the CFPB. Tonight, we’re heading to Chattanooga, for a town-hall style meeting with our friends from the Metro Ideas Project. They’re working to create a nonprofit alternative to payday loans in our state, which has already proven successful in California and elsewhere. And between now and May, we’ll continue on to Knoxville and Memphis, Jackson and Murfreesburo. We’ll stay on the road until we’ve sent all of our state’s prehistoric loan sharks back where they belong: extinction.